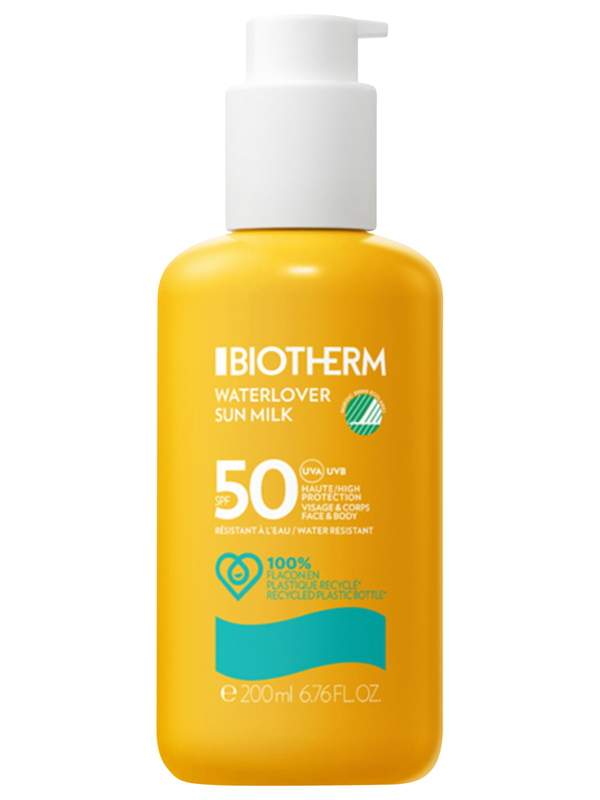 Biotherm Waterlover Sun Milk SPF 50 200ml is a melting sun milk for face and body which ensures a very high protection of the skin. This protection can be use for the whole family (from 3 years). This sun milk contains ingredients selected to respect the aquatic environment. Its moisturizing formula is enriched in Life Plankton for a guarantee of a moisturized skin. Its fluid and unctuous texture can be applied rapidly and penetrates in an instant to leave your skin without whitening effect on the skin. Apply on face and body, renew the application often especially after a bath or after perspiration. Indication: Very high sun protection. Aqua/Water,Glycerin, Homosalate, C12-15 Alkyl Benzoate, Drometrizole Trisiloxane, Alcohol Denat, Ethylhexyl Salycilate, Bis-Ethlhexyloxyphenol Methoxyphenyl Triazine, Zea Mays Starch/Corn Starch, Diethylamino Hydroxybenzoyl Hexyl Benzoate, Ethylhexyl Triazone, Propylene Glycol, Triethanolamine, Parfum/Fragrance, Sodium Stearoyl Glutamate, Synthetic Wax,Terephthalylidene Dicamphor, Sulfonic Acid, Stearic Acid, Palmitic Acid, Peg-100 Stearate, Glyceryl Stearate, Caprylyl Glycol, Acrylates/C10-30 Alkyl Acrylate Crosspolymer, Xanthan Gum, Vitreoscilla Ferment, Myristic Acid (F.I.L C201575/1). 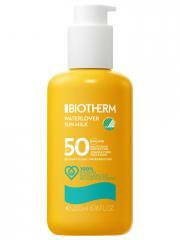 Caution: The sale of Biotherm Laboratory products is limited to the European Economic Area.